This is on-going and mostly depends on research. 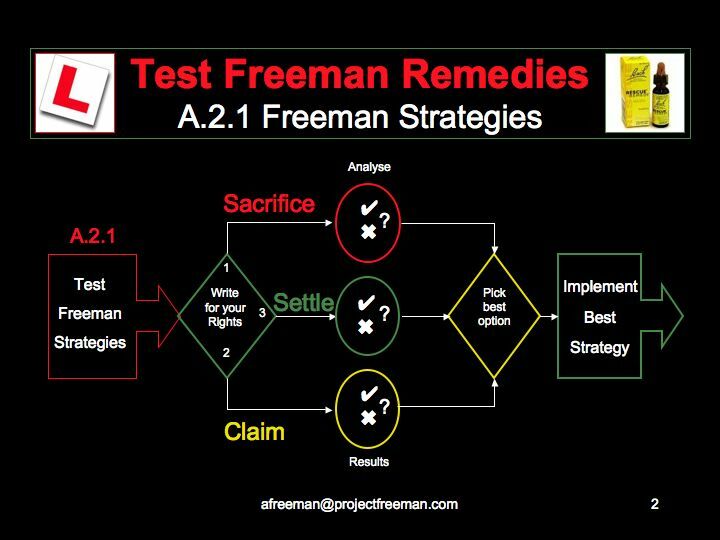 We decided to test the remedy theories on real life situations as they arose within the project team. 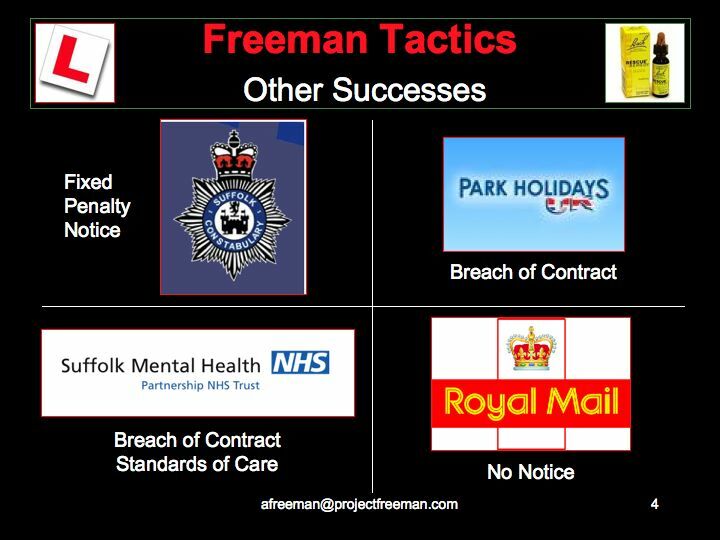 These are what sceptics might call "freeman on the land urban myths", and where without the knowledge gained through this project 'A Freeman' would have normally just gone along with the 'authority' making the claim and paid up! 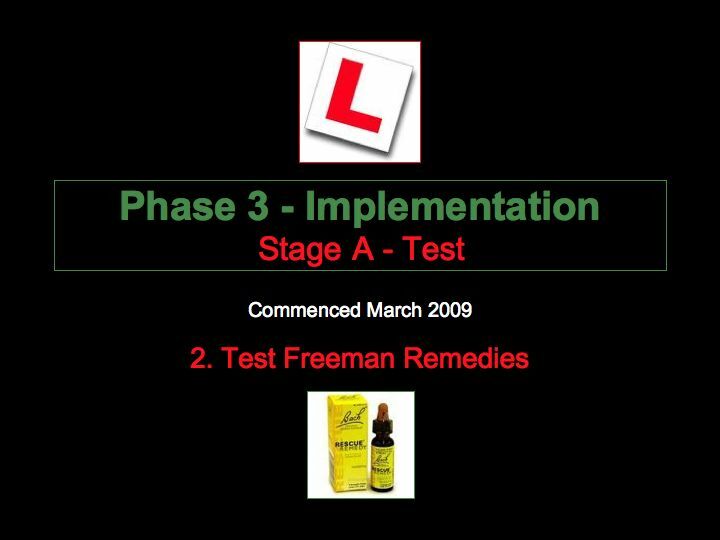 But because 'A Freeman' now understands the theory of how notices and merchant contracts operate because of the knowledge gained in Phase 1, he was able to test this knowledge in practice. But, the proof is in the pudding as they say, so the only way to establish the truth is to test these theories in practice. 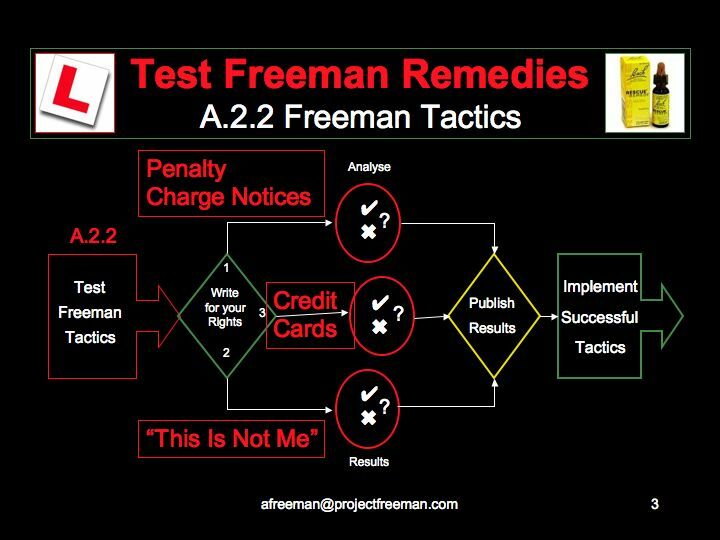 As you can see, so far it's 7 - NIL to Project Freeman!